One of the popular astronomy facts that gets passed around every so often is how small our Sun is compared to other stars. The Sun appears large to us, but it’s tiny compared to giant stars like Betelgeuse. While this is true, it isn’t the best metric for comparing stars. While Betelgeuse has a diameter 1,000 times that of the Sun, it only has 10 – 20 times the mass. Betelgeuse is much larger than our Sun, but also much less dense. Another way to compare stars would be to focus on their mass, or their luminosity. The two are often related, in that more massive stars also tend to be brighter, but that isn’t always the case. 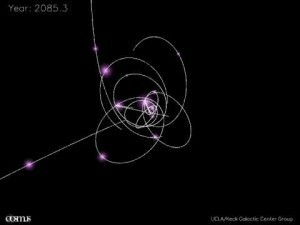 It’s true for stable, main sequence stars, but dying or unstable stars can vary wildly. One of the brightest main sequences stars is Theta Orionis C, which is a blue supergiant in the Orion Nebula. 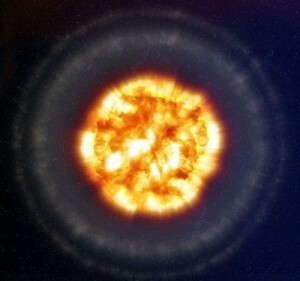 It has a luminosity about 250,000 times the Sun. It has a mass of about 40 solar masses, while being about 8 times the Sun’s diameter. It consumes hydrogen in its core so quickly that it will only remain on the main sequence for a few million years (compared to about 10 billion for a Sun-like star). The brightest known star in the Milky Way is Eta Carinae, which is an unstable 100 solar mass star with a luminosity of about 5 million Suns. In the past couple centuries Eta Carinae has varied in brightness significantly, ranging in apparent magnitude from 4 to 9, which covers a factor of 1oo in luminosity. There may be brighter stars in the Milky Way, but one of the challenges to finding them is that many such stars are partly obscured by a surrounding nebula, as is Eta Carinae. Then there is the fact that much of our galaxy is obscured by gas and dust in the galactic plane. The brightest known star is in the Large Magellanic Cloud, and is known as R136a1. It also happens to be the most massive star, estimated to be about 265 solar masses. This star has a luminosity of 8.7 million Suns. 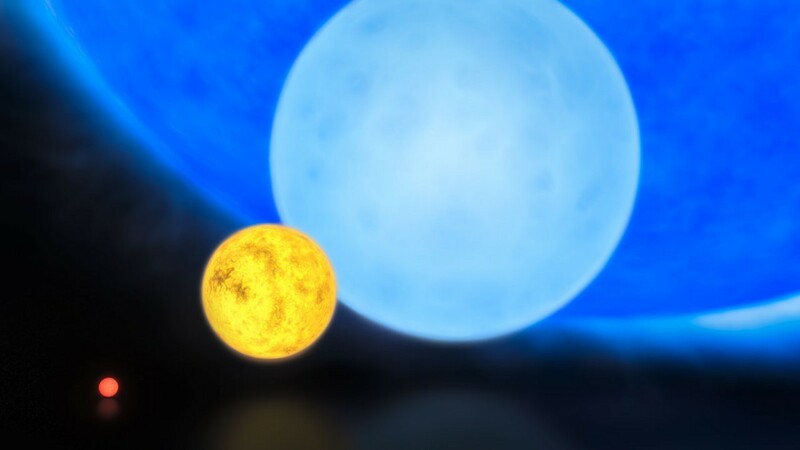 In the artistic rendering above, it is the largest blue star in comparison to the moderately sized yellow Sun. 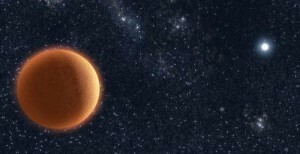 In terms of size, it is only 35 times larger than the Sun, which is tiny compared to Betelgeuse. And yet it outshines them all. Dr. Koberlein, with such high luminosity, how many AUs away would the habitable zone be in R136a1 and how wide would the zone be?